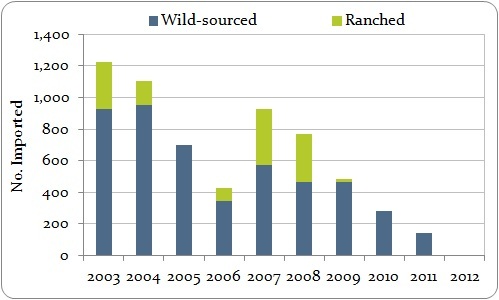 EU-reported imports of wild-sourced and ranched, live Chamaeleo gracilis, 2003-2012. In 2012, six live, ranched Chamaeleo gracilis were imported by the EU from Togo for commercial purposes. 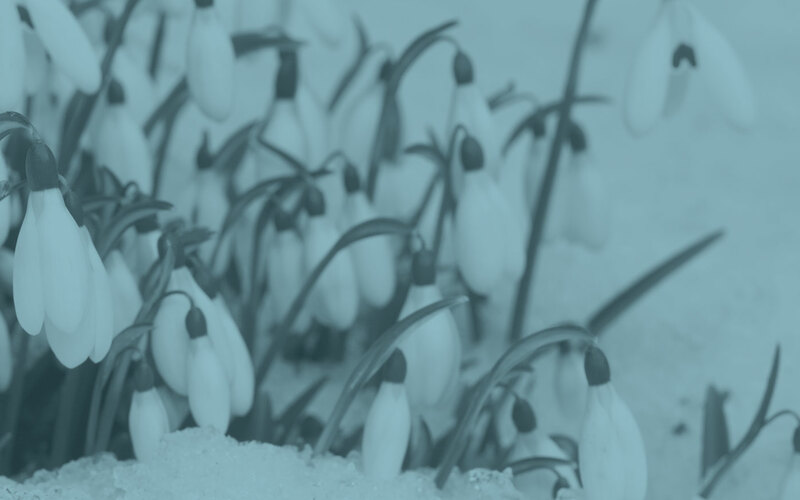 Live imports of C. gracilis decreased by over 99% between 2003 and 2012; 2012 was the first year during this period in which no wild-sourced imports were reported. EU restrictions were in place in 2012 for imports of this species from two of the main exporting countries, Ghana and Togo. Togo published an export quota for 2500 ranched and 500 wild-taken specimens for 2012. © 2019 European Commission, Brussels, Belgium. Citation: EU wildlife trade 2012: Analysis of the European Union and candidate countries’ annual reports to CITES 2012. UNEP-WCMC, Cambridge.